The Half Sisters (right frame) got the highest-rated finale episode of 2016 according to AGB Nielsen. Meanwhile, ABS-CBN's Tubig at Langis is the only Kapamilya program that entered the Top 10 list of highest-rated finale episodes this year. PEP.ph (Philippine Entertainment Portal) continues to look back on the most-watched locally produced drama programs in 2016, after monitoring the TV ratings of Pinoy shows. This time, PEP presents a list of the Top 10 highest-rated pilot and finale episodes among daytime shows aired this 2016. This list is based on TV ratings registered in Mega Manila and NUTAM from provider AGB Nielsen from January 1 until December 18, 2016. Take note that it was only in October 2016 when AGB started sending out NUTAM (Nationwide Urban Television Audience Measurement) ratings instead of Mega Manila ratings. PILOT EPISODES. Out of the seventeen daytime shows that premiered in 2016, nine shows from GMA made it to the Top 10 while ABS-CBN only had one. GMA-7's Wish I May had the highest rating pilot episode for the year. The Kapuso afternoon drama that premiered on January 18 rated 17.1% accrding to AGB Nielsen's Mega Manila ratings. Meanwhile, the only ABS-CBN show that made it to the list was the daytime child-friendly series Langit Lupa. It registered a TV rating of 12.4% for its November 28 pilot episode. This series talked about a woman (Camille) who had a rare case called chimerism or having two DNAs. Because of her two DNAs, she had a hard time finding her missing daughter (Bianca). Wish I May also served as the BiGuel love team's second solo teleserye. Magkaibang Mundo marked the return of fantasy series aired in afternoon shows. This series showed the love story of a normal lady (Louise) with an elf (Juancho). 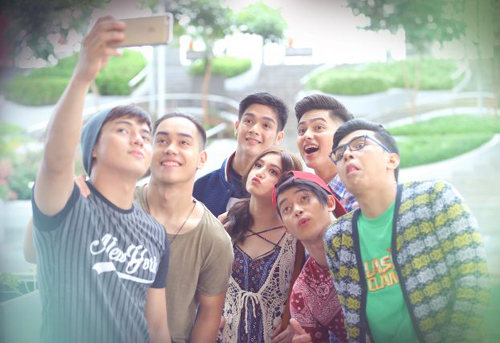 Trops is the first teleserye of Eat Bulaga's That's My Bae boys Kim Last, Tommy Penaflor, Joel Palencia, Jon Timmons, Miggy Tolentino, and Kenneth Medrano. The show focused on the story of Ysabel (Yasmien), a woman who was hired to bear the baby of a childless couple (Katrina and Benjamin Alves) through in vitro fertilization. The Millionaire's Wife is about the struggles of single mother Louisa (Andrea) when she married the millionaire Fred and had to deal with her husband's children. At the same time, more problems cropped up upon the return of her child's father Ivan (Mike). This afternoon show talked about a feral child (Bea) who had the mental attributes of a dog after she was kidnapped and locked inside a barn with a dog while growing up. Sinungaling Mong Puso is the TV adaptation of Vilma Santos's 1992 movie which starred Gabby Concepcion, Aiko Melendez, Alice Dixson, and Aga Muhlach. 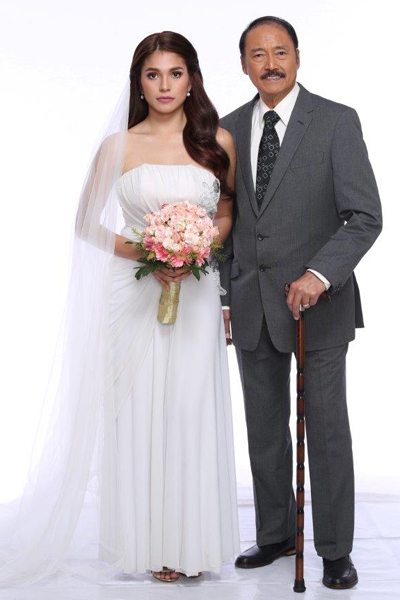 It is about Clara (Rhian) who married an abusive man (Rafael) and found comfort in a much younger man (Kiko) and later on fell in love with him. Oh My Mama is another TV adaptation of a movie starring Maricel Soriano. It also served as Inah's first project after transferring to GMA-7. This child-friendly series also features Alessandra de Rossi's Kapamilya comeback in a special role in its pilot episode. The daytime teleserye also stars the love team of Sharlene San Pedro and Jairus Aquino, as well as the Tomiho tandem of Miho Nishida and Tommy Esguerra. Ika-6 na Utos depicts the story of an overweight woman (Sunshine) who got cheated on by her husband (Gabby) and her former boss (Ryza). The series is said to be close to reality since Sunshine also faced the same issue earlier this year. FINALE EPISODES. For the twenty finale episodes that aired this year, ten shows from GMA-7 and only one series from ABS-CBN made it to the list. Eleven shows were on the list due to a tie. 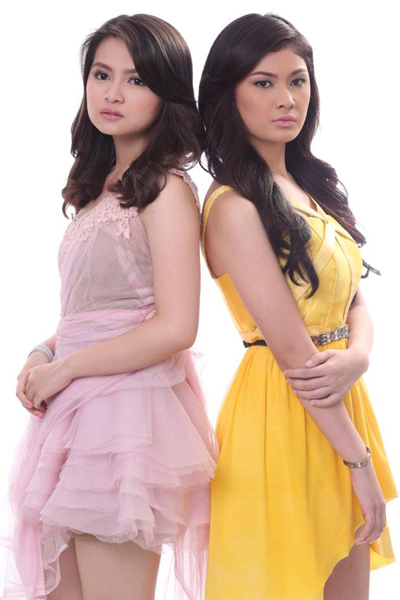 First place went to The Half Sisters, the afternoon drama that aired for over a year starring Barbie Forteza, Thea Tolentino and Andre Paras. Its January 15 finale got 23.2%, the only rating above 20% on this list. The only ABS-CBN show that made to the list was Tubig at Langis starring Cristine Reyes, Zanjoe Marudo, and Isabelle Daza. It placed ninth in the list for its September 2 finale that had an AGB rating of 14.1%. It is no surprise that this show about twin sisters who had different fathers (Barbie and Thea) got the highest rating for a finale episode since it had been a consistent top-rater and aired for one year and seven months. The finale of this TV program showed a happy ending for the characters of Louisa (Andrea), Ivan (Mike) and their son. While lead character Anna (Bea) recovered from her condition, the villain played by Ina Feleo got her karma when she acquired a mental disorder that made her imbibe the actions of a dog. The culminating episode of Wish I May had its viewers witness the touching reunion of Carina (Bianca) and her mother Olivia (Camille) which almost didn't happen because of a kidnapping incident. This successful teleserye about a transgender woman almost had a tragic ending when Destiny (Ken) fell from the second floor of a building. Fortunately, his character recovered. Despite their different backgrounds, with Pepay (Louise) as a mortal and Elfino (Juancho) as a dwarf, they ended up together. 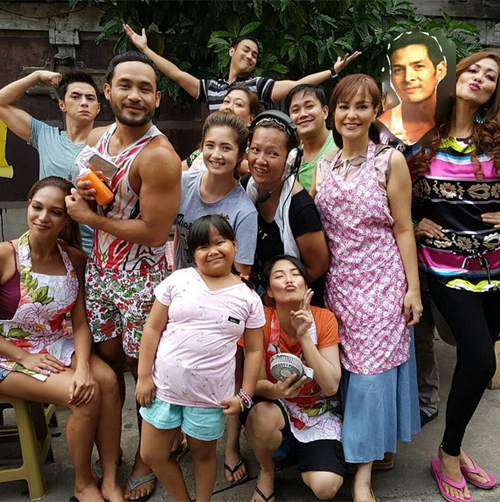 After suffering from hardships and tragedies, the members of the Buena Familia finally had a happy ending after Arthur Buena (Bobby) finally got out of jail and reconciled with his wife Bettina (Angelu). The remake almost remained faithful to the original version's ending where Clara (Rhian) killed Roman (Rafael) until he bathed in his own blood. Unlike its predecessor Princess in the Palace which aired for nine months, this light drama series aired for only four months. After months of catfights and word wars between the characters of Irene (Cristine) and Clara (Isabelle), the show finally ended when Clara was captured by the police and Irene & Natoy (Zanjoe) were able to settle their differences. The show had a tragic end for the love story of Maricel (Inah) and Julio (Jhake) when the guy protected the girl and ended up getting shot. Incidentally, Oh My Mama's pilot episode also rated 13%.